Welcome to St. Rita Parish’s website. We have provided this website in the hope that you may learn more about our faith and our parish. May God bless you in all your daily activities. The Tuesday morning Mass is cancelled if there is a funeral that day. on the 61st Street side of church. Please enter through the church doors on 61st Street. 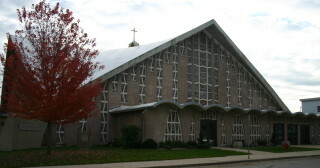 The two main entrances to church are handicapped accessible, with door openers and either a ramp (parking lot) or sidewalk level (61st Street) access. The south access (alley), while at sidewalk level, does not have a door opener.